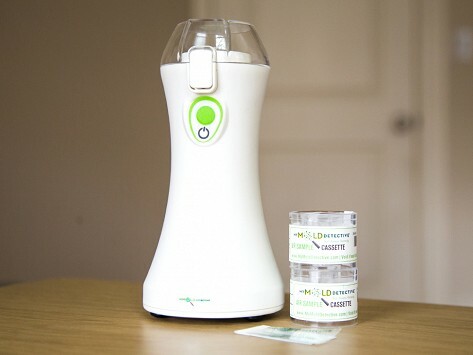 This kit uses the same technology as pricey indoor air quality professionals. 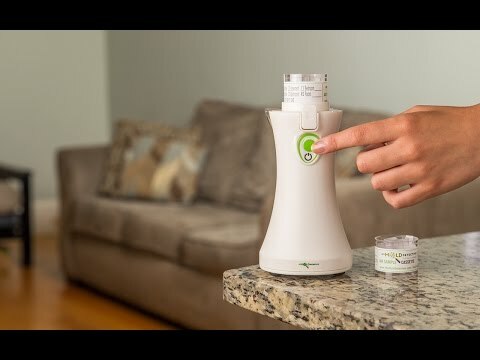 You test the air in one or more locations in your home (plus an outdoor air sample as a "control"). Register your samples online, then send them in the prepaid envelope to My Mold Detective’s lab for testing (you pay a testing fee for each sample). Then, you’ll receive a professional, easy-to-understand report that shows the types and levels of mold in your home and whether it’s time to contact a remediation specialist. Find out not only if mold is present and what kind but also if the mold levels are "normal, slightly elevated, or elevated"
Dimensions: 3.5" x 3.5" x 7.25"
Note that you pay a lab testing fee for each sample you submit. Still, it’s far more affordable than hiring a professional. With My Mold Detective, you’ll know if it’s time to call in a remediation specialist or if you can breathe easy.